All Blacks legend Jonah Lomu's former club side Stade Phoceen has gone into administration. The 36-year-old monster winger turned out for the Marseille club in 2009 - then known as Marseille-Vitrolles - but on Friday it was announced that they are in financial turmoil. 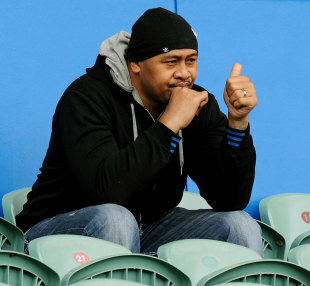 Lomu played a handful of games for the side back in 2009 when he was 34 but Stade's demise follows weeks of rumours and uncertainty over their future. The club are now expected to let go of 40 employees and 30 players in the coming weeks. Lomu was recently hospitalised for 16 days after experiencing trouble with his kidneys but was well enough to attend an Australia training session prior to their bronze final with Australia.